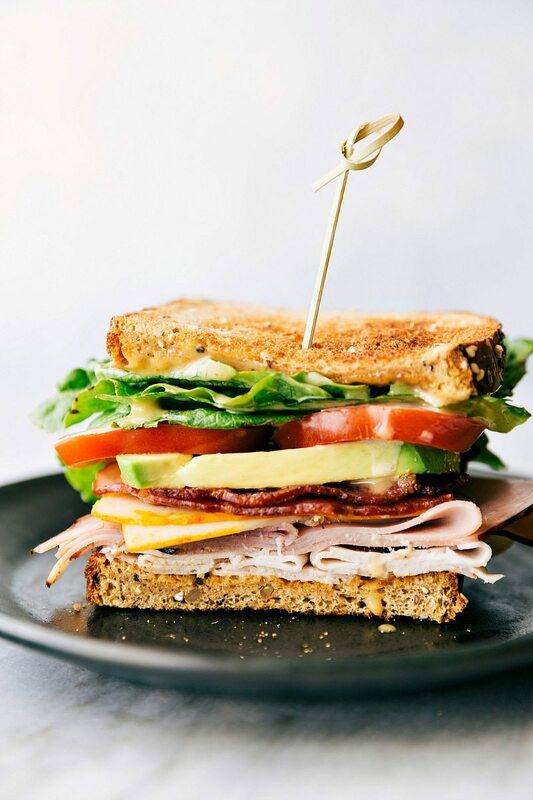 Honey Bacon Club Sandwich — toasted bread, crisp fresh veggies, smoked turkey, honey ham, center-cut bacon, muenster cheese, and the most incredible honey mustard spread! 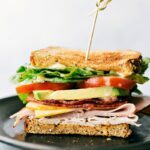 I don’t have too many sandwich recipes on this site because I believe that most of your typical “deli-type” sandwiches don’t really need a recipe — they’re pretty much customized to whatever you have around or whatever you’re craving. 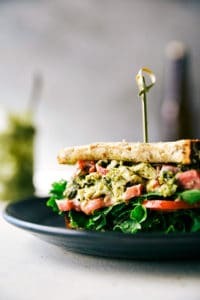 The types of sandwiches where a recipe is helpful? Chicken salad sandwiches, pesto chicken sandwiches, and of course SLIDERS. So while this might appear as a somewhat typical deli sandwich and you’re wondering why I’m sharing a recipe for it, I’ll tell you right now. We are straight up OBSESSED with this sandwich at my home and I would be a terrible person to not share it here! 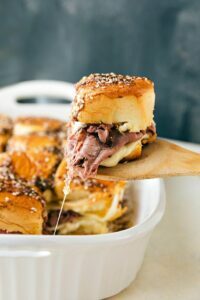 While you can pretty much customize the fillings to how you want them on this sandwich, the sauce that is spread all over this sandwich is insanely good. It’s really the “secret ingredient” that makes you want to follow a recipe for a sandwich. You are sure to be a sandwich superstar (who doesn’t want to be that?! ?) 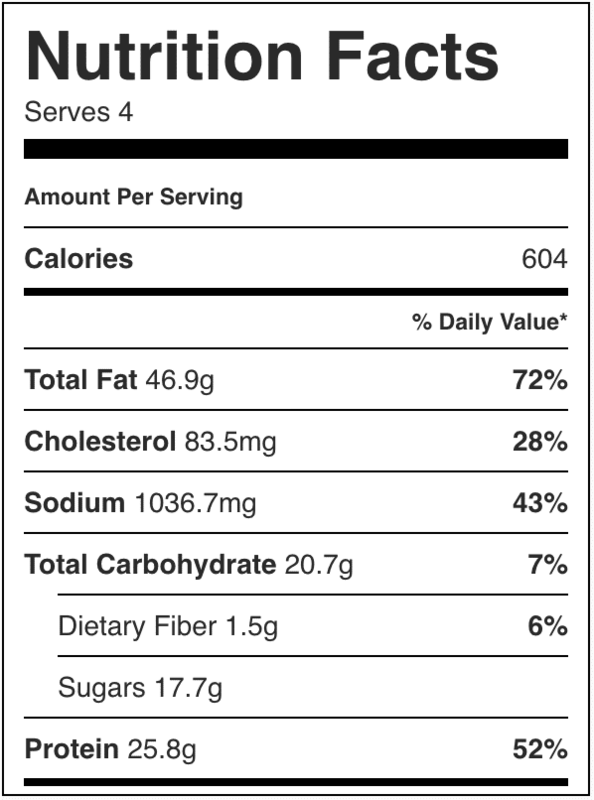 if you make this sauce for your sandwich night. But before we talk sauce or what’s inside the sandwich, I’ve got to fill you in on one of the most important components of the sandwich — the bread! I’m using eureka!® Organic Bread which we love at my home. 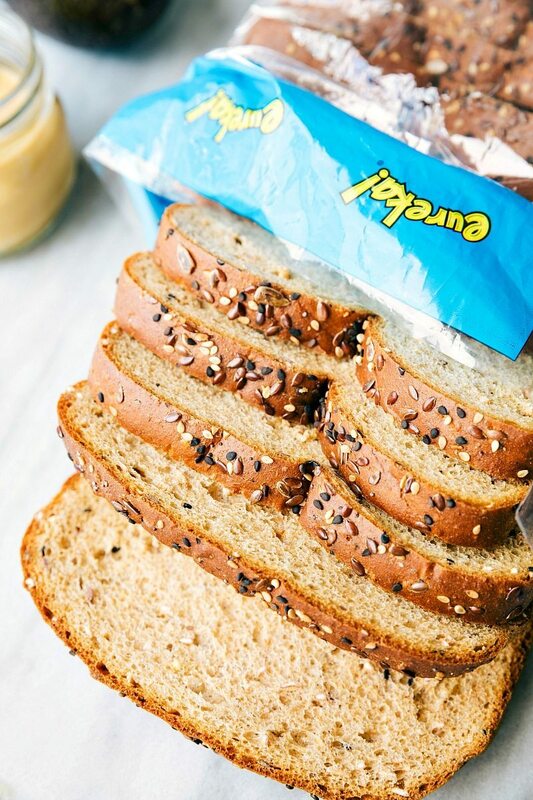 It’s a better-for-you bread that is USDA Organic and Non-GMO Project verified without high fructose corn syrup, artificial flavors, preservatives, or colors. But the best part? It’s so far from being bland. Even though you’re eating better with this bread, you aren’t sacrificing taste to do so (which is why we are such huge fans of it)! Seriously, you will love the rich flavor of this bread on these sandwiches. We like to start with 3 meats — bacon, turkey, and ham. The favorite veggies? Romaine lettuce, roma tomatoes, and avocados. And the cheese? None other than muenster cheese. Other alternatives that would work great: a white American cheese, Monterey Jack cheese, and even a sharp cheddar would taste great with everything else! So finally we’re to the sauce. It’s only five ingredients (excluding salt and pepper) of mayo, BBQ sauce, a little bit of lemon, and of course honey + mustard. It may sound a little bit odd, but I promise you’re going to be obsessed with this sauce. 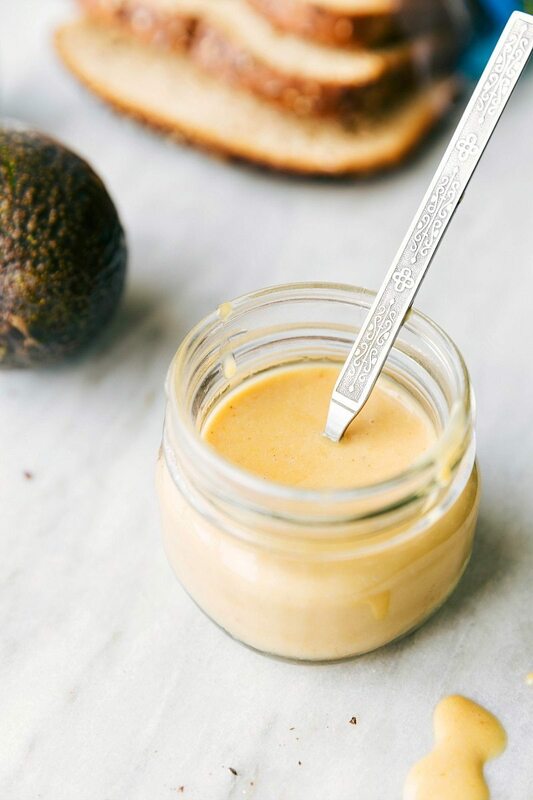 I’ll also let you in on a family secret — not only do we spread this sauce on top + bottom of the sandwich, we also include it in dipping bowls to DIP the sandwich in. Too much? Never! 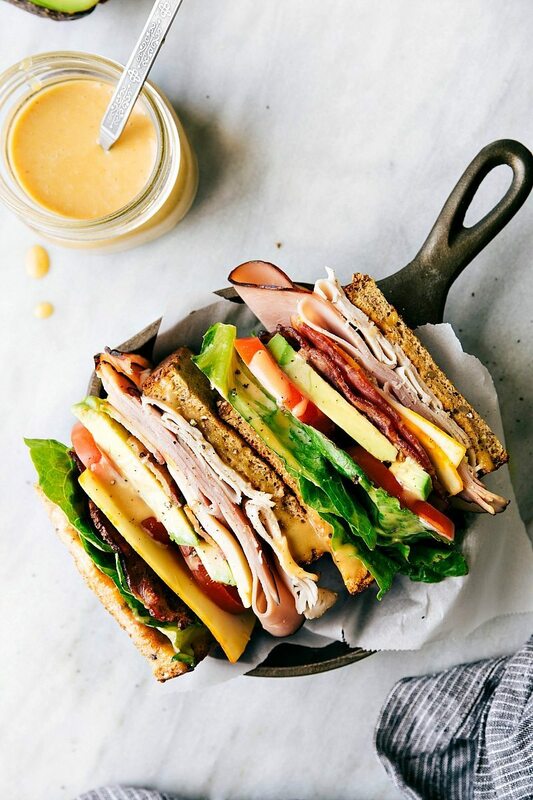 Toasted bread, crisp fresh veggies, smoked turkey, honey ham, center-cut bacon, muenster cheese, and the most incredible honey mustard spread! Start with the sauce: whisk all the ingredients together. Add a pinch of salt and pepper, taste, and adjust any of the ingredients to personal preference. Place in the fridge to chill while you prepare the sandwiches. Cook the bacon to desired preference. Remove to a paper-towel lined plate and dab off the excess grease. Toast the bread. Set out 4 plates. Set 2 pieces of toasted bread on each plate and spread the sauce on both sides. 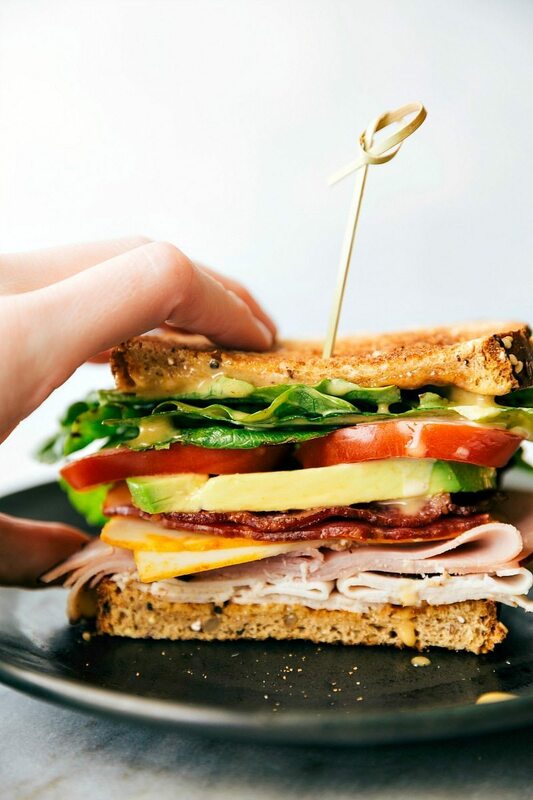 Layer the ingredients however you'd like using the cooked bacon (3 per sandwich), lettuce, cheese, sliced tomatoes, sliced avocado, 2-3 pieces of turkey, and 2-3 pieces of ham depending on their sliced thickness and desired quantity. * No Nutrition Label for these sandwiches; it's highly dependent on what you top your sandwich with and how much of the spread you use! hey girl- this looks amazing! I love me some good sandwiches!